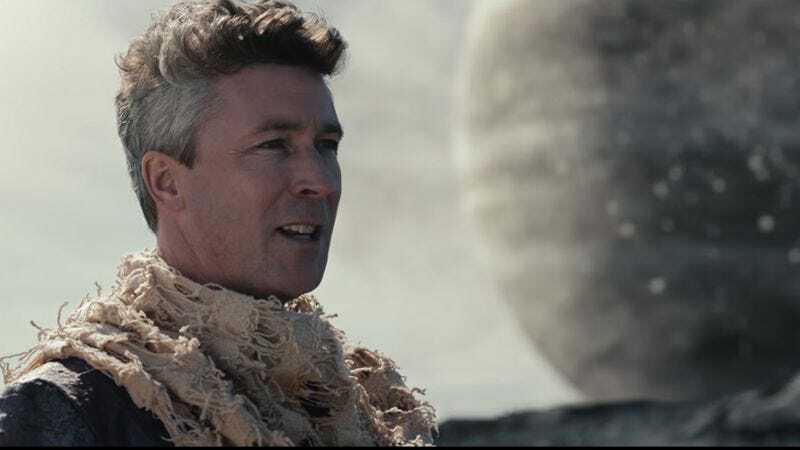 As Littlefinger on Game Of Thrones, Aiden Gillen gets to dole out low fantasy burns and deliver copious amounts of witty repartee almost every week, but as keen eyes will notice, he never really gets the chance to be a space wizard. Fortunately, thanks to the European Space Agency and its apparently enormous advertising budget, that dream doesn’t have to die like so many Game Of Thrones characters before it. In Ambition, Gillen, dressed like Ruby Rhod, plays the “enigmatic Master” to Aisling Franciosi’s Apprentice on a mysterious alien planet in the distant future where humans can apparently do educational space magic. That set up, however, lasts for all of two minutes, as it quickly devolves into Gillen explaining the history of the ESA’s Rosetta mission, which isn’t entirely uninteresting, but there are fewer space explosions involved. Still, at only five minutes long the clip is definitely well worth a watch.